Despite being my favorite multi-currency mobile wallet, Edge has a terribly frustrating UI/UX issue, that I’ve been unable to communicate to the team though text on Twitter. So here it is, documented visually. If you have the password on the clipboard—which will be the case for probably 99% of the users—the iOS touch action to initiate a paste is a double tap into the password field. 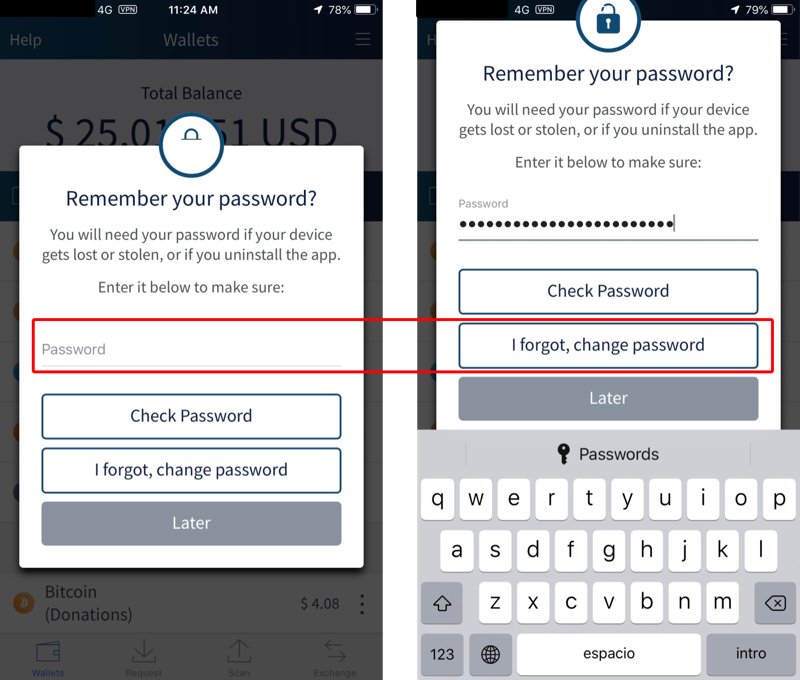 However, the instant you tap once, the iOS keyboard appears, and which shifts the screen upward so that the second tap registers into the “I forgot, change password” field. And even knowing this happens, it’s still very difficult to avoid. In fact, it’s happened the last three times I’ve faced this unwanted password verification workflow. 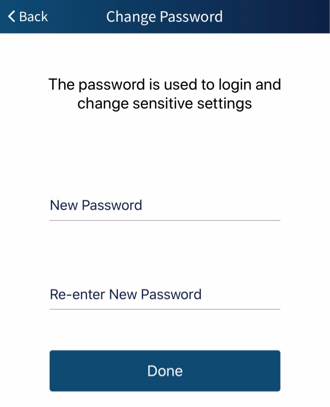 After a bit of confusion about how you ended up here, the user will naturally want to go back to the password check screen, and so he taps the back link in the upper left. Unfortunately, instead of being returned to the password-check screen, he’s taken to the settings screen! 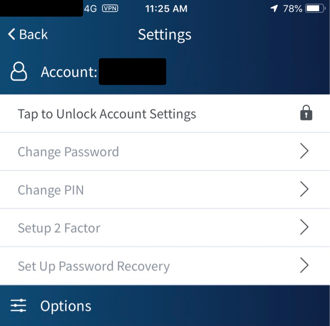 Tapping into the password filed on the first screen frequently ends up registering a tap into the “Change password” button because of the instant shift upwards as the keyboard appears. From the next screen, it’s impossible to get back to the previous! Hope this explanation helps the team at Edge.